Durante o 4º Festival gvSIG, Graciele Rediske, da Universidade Federal de Santa Maria – UFSM e da Comunidade gvSIG-Brasil apresentou “Utilização do gvSIG para identificação das áreas adequadas adequadas para instalação de usinas fotovoltaicas “, um projeto que também têm a participação dos professores Gilberto Cugler e Júlio CM Siluk. Eles já disponibilizados em toda a Comunidade um tutorial detalhado que mostra como identificar as áreas para instalação de usinas fotovoltaicas através do uso do gvSIG Desktop, no qual foram aplicadas várias etapas de geoprocessamento, realizando as análises através da tabelas de atributos. Você pode baixar o tutorial no seguinte link. Here you have a video where we introduce you to the gvSIG Suite applied to municipality management. It will surely give you a sense of the multiple uses of gvSIG solutions to optimize municipality management. Related to this, there are several presentations about real cases studies at the following links: in English and in Spanish! And we also remember you that there’s a free of charge course (with professional certification available) where you can learn about how to work with gvSIG Suite at local administration, a course that thousands of users have followed. Are you up for it? Course link: I’m going to take the course! Some days ago we launched an idea: what if we celebrate the broadcast of the Game of Thrones final season with a GIS course? The enthusiastic response that we obtained in social networks has encouraged us to record a new course to learn SIG using the Game of Thrones cartography. The collaboration between the gvSIG Association and the Miguel Hernández University has made it possible. Video-quality tutorials, easy to follow and replicate. Of course the course is totally free of charge. You only have to follow each of the modules/videos of the course, and use the free and open source gvSIG Desktop software to be able to replicate the exercises shown at the videos. The files with the necessary cartography to follow the course are also available. Hace unos días lanzamos una idea, ¿y si celebramos la emisión de la temporada final de Juego de Tronos con un curso de SIG? La entusiasta respuesta que obtuvimos en las redes sociales, nos ha animado a grabar un nuevo curso para aprender SIG utilizando la cartografía de Juego de Tronos. La colaboración entre la Asociación gvSIG y la Universidad Miguel Hernández lo ha hecho posible. Vídeo-tutoriales de calidad, fáciles de seguir y de replicar. Os dejamos con un vídeo de presentación de la Suite gvSIG aplicada a gestión municipal; seguro que os da muchas ideas de los múltiples usos que pueden tener las soluciones gvSIG para optimizar la gestión municipal. Relacionado con esto, tenéis un conjunto de presentaciones de casos reales en el siguiente enlace: ¡Aquí mismo! Y nunca está de más recordaros que tenéis disponible un curso gratuito (con certificación opcional) para aprender a trabajar con la Suite gvSIG en la Administración Local. Un curso que ya han realizado miles de usuarios. ¿Te animás? Enlace al curso: ¡Me ánimo! 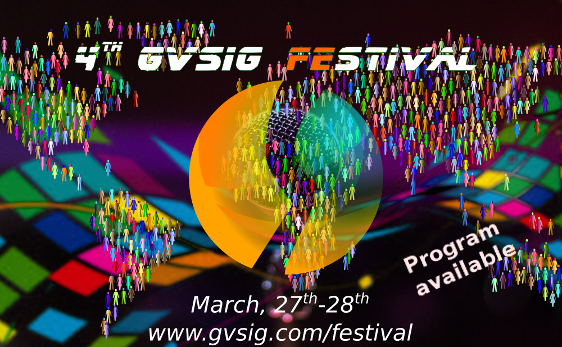 Recording of the 4th gvSIG Festival presentations is already available. The gvSIG Festival is the virtual conference about gvSIG that was held on April 17 and 18, in which this year we wanted to give special visibility to women who work in the world of geomatics. If you could not follow the live presentations you can now watch the recording of them, which are available on the gvSIG website. During the festival there were a great variety of presentations, speaking about topics like cases studies about Geopaparazzi, about analysis of extreme events ​​​​​​​with the HortonMachine tools in gvSIG Desktop or how to get a diverse team to work with. Don’t miss any of the presentations! 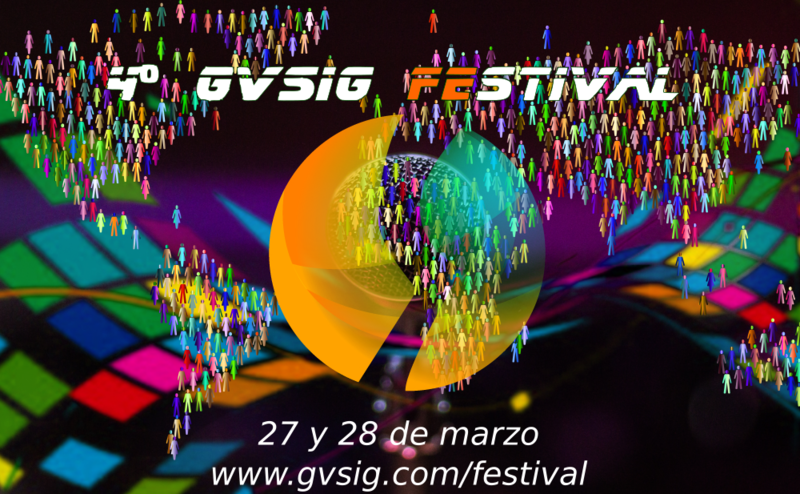 Ya están disponibles las grabaciones del 4º gvSIG Festival, las jornadas virtuales sobre gvSIG que se celebraron los días 17 y 18 de abril en las que este año hemos querido dar especial visibilidad a las mujeres que trabajan en el mundo de la geomática. Si no pudisteis seguir las ponencias en directo podéis ver ahora las grabaciones de las mismas, las cuales están disponibles en la web de gvSIG. Entre los temas tratados en las presentaciones hubo casos de uso sobre gvSIG Mobile para inventario de mobiliario urbano, sobre gvSIG Desktop para situación de plantas fotovoltaicas, o temas como el grupo de Geochicas en Latinoamérica o cómo conseguir un equipo diverso para trabajar. ¡No os perdáis ninguna de las presentaciones! We show you another novelty of the new gvSIG Desktop version that will make the editing tasks easy through quick access to the Snapping or reference to objects configuration in a layer. The window that allows you to configure the type of snapping (end point, medium point, near point …), and the tolerance in pixels, was inside the “Configuration” window in previous versions. In addition, if we wanted to activate or deactivate snapping we had to use a quick access key or use the command available at the “Edit” menu. Thanks to the “Quick access to Snapping Tool” plugin we will be able to access the snapping options at any time and we can leave the floating window while editing. In this waywe can change the available options at any time. In the next video we show how snapping worked so far, the plugin installation through the add-on manager, and how it works now. The 4th gvSIG Festival will start in a few hours, where there will be presentations in English, Spanish and Portuguese about different projects related to gvSIG. Registration can be done independently for each presentation. Don’t wait for the registration!